Alcoholism, what is normally referred to as a family disease, has a myriad of negative effects on the individual and the family as a whole. Alcoholism is also commonly referred to as alcohol use disorder and can be described as a form of addiction. As stated by alcoholrehabguide.org, this disease is the most serious form of alcohol abuse due to the over-dependence on the alcohol. Individuals suffering from alcoholism find it hard to function without consuming alcohol. This makes it harder for them to stop, and over time, the alcohol problem develops from mild to severe. This over-reliance will negatively impact their health, their professional pursuits, personal lives as well as their relationships. However, even the negative impacts caused by their alcohol problem are not enough for them to stop. In other words, they are so dependent on or addicted to the alcohol that they do not care about the negative consequences. This remains true even if the consequences end up affecting their close relationships or costing them their jobs. Now, how does alcoholism develop? As previously mentioned, the longer a person consumes alcohol, the more he or she is likely to become addicted. However, are there any risk factors that may increase a person’s chance of developing the disease? 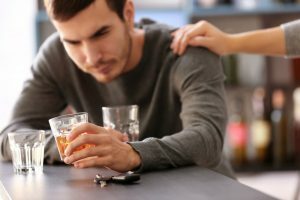 What causes alcohol drug disorder? Let us take a look. Alcohol consumption is not considered illegal within the continent of America. However, alcohol consumption is regulated and operates under certain prohibitions. In certain, if not most, states in America, individuals under the age of 21 are not allowed to purchase or drink alcohol. Why? Alcohol has the ability to impair a person’s judgement and inability to make sound decisions. Additionally, the earlier a person starts consuming alcohol, the more he or she is likely to develop an addiction. The National Council on Alcoholism and Drug Dependence, Inc., bears testament to the above fact. According to them, children under 15 years of age that are already drinking are more likely to develop an addiction problem later on in life. In fact, they are at least five times more likely to become addicted to alcohol as compared to those that start drinking at age 21. 47% of those that started drinking alcohol at 15 or earlier developed an alcohol problem, as stated by the Archives of Pediatrics & Adolescent Medicine. Alcohol is a chemical substance that interferes with the chemicals in the brain. Hence, young individuals that drink early are not only in danger of developing an addiction problem, but they are also interfering with the brain’s normal development. Of course, this will, in turn, affect the person’s future success and overall performance. Once a person consumes alcohol, the liquid interferes with chemical substances in the brain as mentioned earlier. The alcohol tends to increase and production of a substance known as dopamine, as well as other hormones that influence a person’s mood. The overproduction and release of dopamine tend to increase the feeling of pleasure and euphoria. In other words, after a person drinks alcohol and dopamine is released, the feeling of pleasure is heightened. Hence, a person tends to drink more so as to experience the feeling over and over again. However, after a while, the alcohol may lose its effect, prompting the person to increase his intake so as to experience the pleasure he seeks. This will then cause the person to start over drinking, as the body becomes more and more used to the alcohol. And as previously mentioned, the more and longer a person drinks, the more he or she is likely to develop an alcohol problem. Now, we’ve heard cases of people that drink alcohol on occasion, and do not suffer from the disorder. So, what gives? Drinking at an early age More specifically, individuals that start drinking at the age of 15 years and below are likely to become addicted to alcohol. Alcoholism is a disease that has dire effects and consequences. Yet, there are people that still choose to drink or consume it. As seen above, there are numerous reasons and factors that may lead a person into drinking. However, the best way to deal with it is to abstain from alcohol consumption. Moderate consumption of alcohol may not cause physical or psychological harm. This is as long as the drinking does not progress to alcohol abuse or over-consumption. This begs the question, how much alcohol is too much? What exactly is the moderate amount of alcohol consumption? Does it mean that you only drink on special occasions or you drink once a week? Well, according to the Centers for Disease Control and Prevention.women should drink once a day, while men should drink at least twice in one day. One drink equals 5 ounces of wine, 15 ounces of beer and 1.5 ounces when it comes to drinking liquor. A person is recommended to watch their alcohol consumption by limiting it or abstain from it completely. Now, let us move on to individuals that drink and end up developing Alcohol Use Disorder. What are the effects of the disorder? Let us take a look. As we’ve seen from the above information, alcohol tends to affect individuals differently. While others can manage to consume a moderate amount without being affected, others end up abusing the alcohol. Others, end up developing a severe drinking problem known as Alcohol Use Disorder (AUD). There’s a fine line between Alcohol Use Disorder and Alcohol Abuse. Alcohol abuse is where a person consumes too much alcohol in one sitting and ends up engaging in risky behavior. Alcohol abusers differ from those that suffer from Alcohol Use Disorder in that they are not dependent on the alcohol. Those that suffer from the disease, on the other hand, are so dependent that they cannot go through a single day without it. They need the alcohol to get rid of the withdrawal symptoms and function normally. This is condition needs to be treated immediately. The problem is that most people are not aware that they are suffering from the disorder. Others are hesitant and unwilling to admit that they have a problem, regardless of the consequences. So, how does one know that they are suffering from Alcohol Use Disorder? Let us take a look. Alcoholism, as earlier mentioned, is often referred to as a family disease. This is because it not only affects the individual suffering from the disease but the family as well. Everyone from the children to the spouse is adversely affected by this disease. Below, are some of the ways this disorder affects the family. Let us take a look. 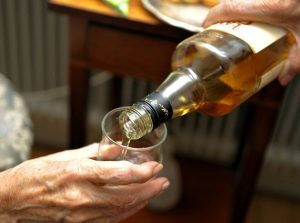 The individual suffering from the disease may end up engaging infidelity: Alcohol is known to impair judgement and a person’s ability to make sound decisions. Hence, the person is more likely to cheat on the spouse. The symptoms are numerous. From the symptoms mentioned above, we can see that the baby will adversely affect both physically, emotionally and mentally. It’s best to stay away from alcohol, especially while pregnant for the sake of the baby’s health. Let us take a look at how alcoholism affects the entire family in more detail. A parent with suffering from Alcoholism will end up affecting his or her family in more ways than one. Instead of focusing on his family, the individual will end up neglecting them. Instead, all his or her attention will be on drinking and how to deal with the withdrawal symptoms. Moreover, the parent may end up neglecting his professional responsibilities. This may lead to job termination that may drive the family into financial problems. The family will have to look for ways to not only support themselves but support the parent with the addiction problem. Once the parent loses his job, he will obviously be unable to fund his addiction. Hence, he or she might result in stealing from the family members or depending on them for money. This may drive them into financial debt and may find it hard to support their individual’s needs. Alcoholism often causes the addict to be violent and abusive to those around him or her. Other than neglecting his family, the addict is likely to verbally, physically and emotionally abuse them. 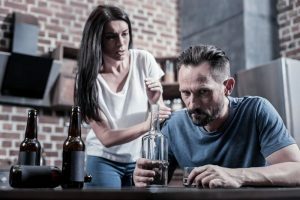 The addict will have a tendency to become violent and aggressive when the family tries to confront their drinking habits. This is because the addict may interpret the genuine care and concern of his family members as a threat. Children in such situations end up getting neglecting. Instead of growing up in a secure and nurturing environment, they grow up in an unhealthy one. Such children may end up abusing alcohol or some other form of the drug to numb the pain or for a temporary escape. Others end up becoming rebellious or taking up roles within the family as a way of dealing with the neglect and trauma. Of course, the children also end up taking up certain roles to help the family deal and cope with the problems they are experiencing. Family Hero: This position is often taken up by the firstborn; the eldest of the children. They are always the most hardworking and responsible. Yet, they are also hurting and dealing with feelings of neglect and low- self-esteem. The Mascot: Such children are the clown of the family. They enjoy having fun and making jokes. Regardless of their fun, enthusiastic and energetic nature, they battle with feelings of neglect, inadequacy and self- worth. The Scapegoat: This person seems rebellious, tough and very troublesome. This type of child often takes the blame for most things. Hence, he or she ends up engaging in unruly activities as a way of dealing with the pain and feelings of anger, neglect and unfairness. The lost child: This type of child appears to contend and is always daydreaming. In a way, the child seems unaffected by the things going on around him or her. However, this is not normally the case. Such a child is hurt, feels neglected and angry. More often than not, the spouse or partner to the addicts often blames themselves. They end up feeling unworthy, angry, hurt and scared. The partner suffering from the disease is often torn between wanting to drink more alcohol and wanting to stop. However, due to their inability to stop drinking, they end up blaming others for their problems and failures. As a way of dealing with their anger, they may end up abusing the spouse or partner verbally, emotionally or physically. Such actions could end traumatizing the affected spouse considerably. Not only will the spouse be emotionally scarred and damaged, but may end up in the hospital from physical abuse. Some addicts tend to steal money from their spouses or lie to them in order to get money for drinking. Whenever the addict is confronted, he or she is likely to lie so as to cover up their act. Spouses in such a relationship are advised to seek assistance first before they can try to help their partner. The more equipped and informed they are about the disorder, they better they are likely to deal with it. Moreover, once they’ve learnt how to effectively deal with and treat the addict, partners and spouses are advised to have them treated immediately. When a child is suffering from an addiction problem, the entire family is often on the verge of breaking up. Parents struggle and argue on how best to deal with the situation accordingly. Continued arguments and rows with each other or with the child may cause the parents to divorce. If there are other children in the family, they may end up being neglected. Parents always tend to focus most of their attention on the child with the addiction problem and neglect the rest. Also, parents may end up taking it out on the other children. In other words, the entire family will be in constant disarray, pain and anger. Parents are advised to take care of their needs first before they can attend to the affected child. Moreover, parents are advised to seek help from counselors, health consultants and even other individuals that can help. Below, is a summary of the negative effects. In conclusion, alcoholism is a serious disease that not only affects the individual but the family. It ends up affecting everyone emotionally, physically, socially, mentally and financially. The affected family members are advised to seek assistance on how to deal with a person suffering from Alcohol Use Disorder. Moreover, the family is asked to take care of their needs as well, so that they can effectively take care of the needs of the addicts. Parents are also advised to ensure that the needs of the children are not neglected. Ensure that they grow up in a healthy environment by engaging in responsible drinking or staying away from alcohol altogether. If your spouse is suffering from the disease, seek help as well and have him or her treated immediately. Alcohol Use Disorder is a disease that can be treated effectively. By taking the affected person to the proper rehab facility, he or she can receive the proper care and help that he need.